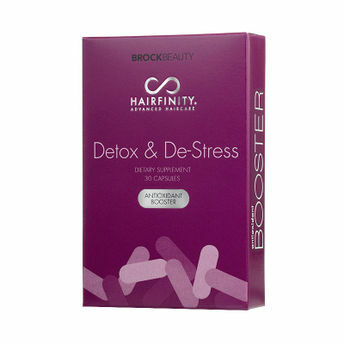 Hairfinity Detox & De-Stress Antioxidant Booster supports your scalp’s stress reduction abilities with an antioxidant cocktail of curcumin, zinc and grape seed extract. It soothes and protects your scalp, so your hair can grow and thrive, stress-free. Each ingredient in these capsules gives you a boost of antioxidant ingredients, creating optimal conditions for hair growth.